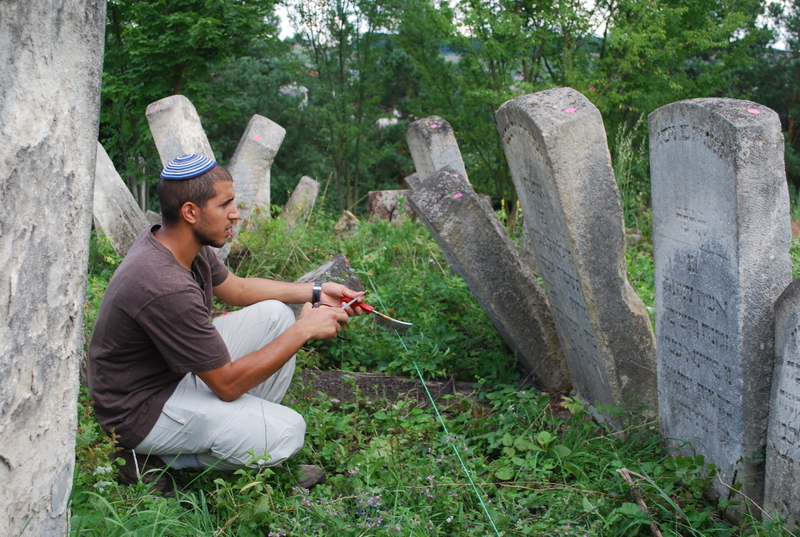 The delegation cleaned and documented the tombstone of his father – Shalom Mordechai Czaczkes, and discovered the tombstone of his mother, Esther. 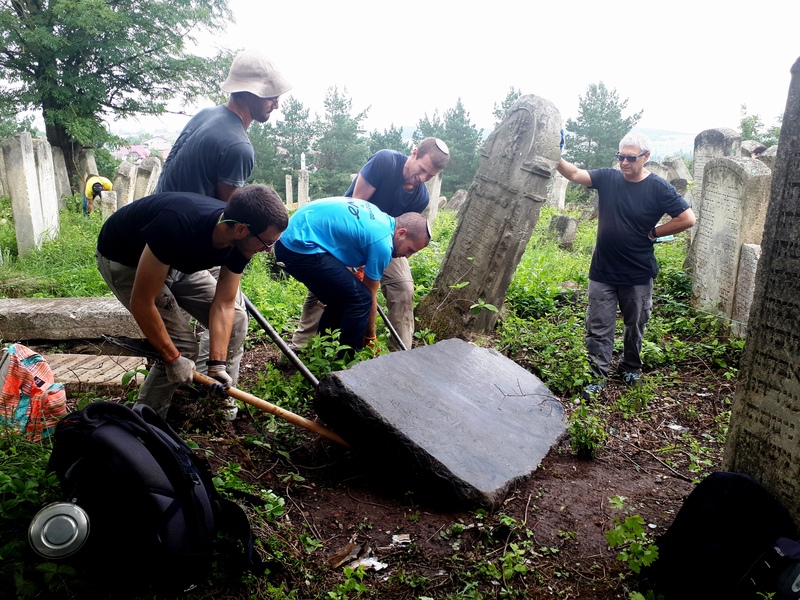 The discovery of Esther Czaczkes’s tombstone aroused great interest among the public and in the press in Israel (see related articles here) and even while our work at the cemetery was still in progress, several groups of Israeli tourists came to visit her grave. 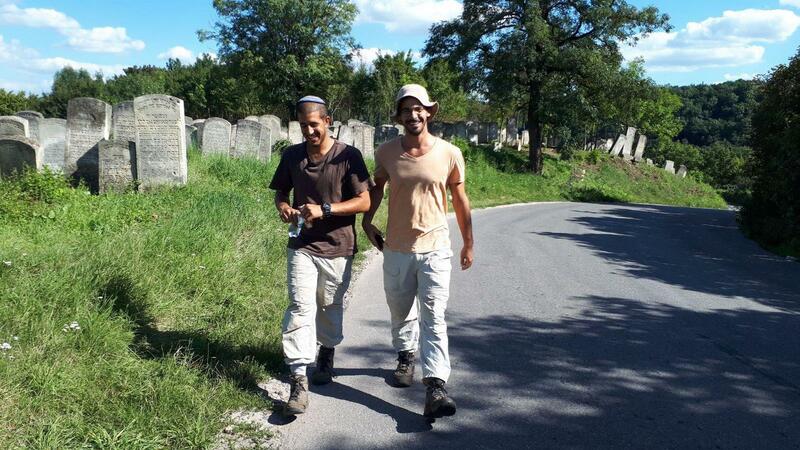 The delegation numbered 11 volunteers, most of whom were students from Herzog College, and it was led by two researchers from the Hebrew University of Jerusalem: Dr. Boris Khaimovich, an expert in Jewish art, and Dr. Ilia Lurie, a researcher of Eastern European Jewry. 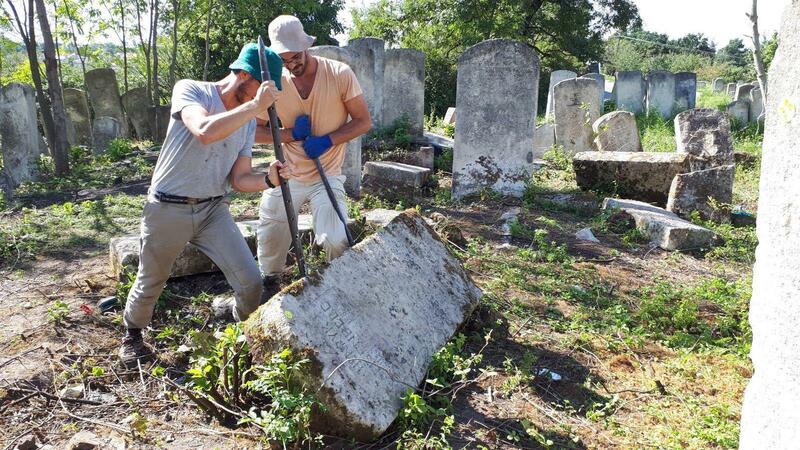 The work of clearing and preparing the site was carried out in conjunction with ESJF- European Jewish Cemetery Initiative and the organization’s delegation worked on site for two weeks: from the 29th of June until the 12th of August. 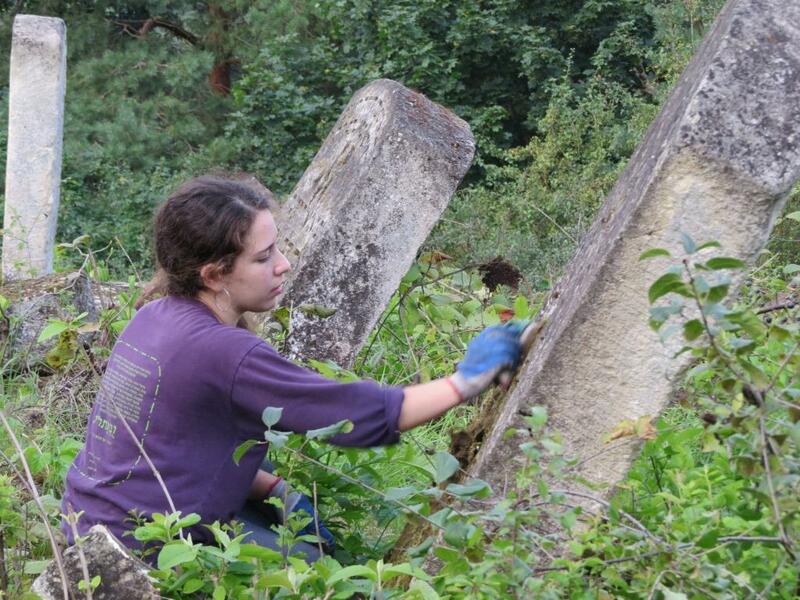 In the course of the delegation’s work, around 1,100 tombstones dating from the late19th century to the Holocaust were uncovered, cleaned, documented and photographed. Many of them were broken, upturned, or sunken into the ground. 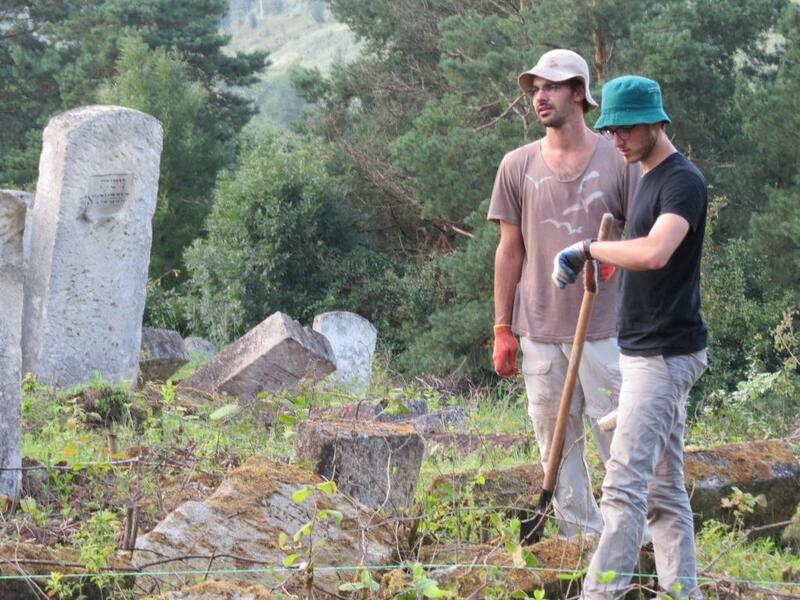 The central section of the cemetery – about a third of the total area – was destroyed completely during the Soviet era: the tombstones were removed and used for construction in the town. 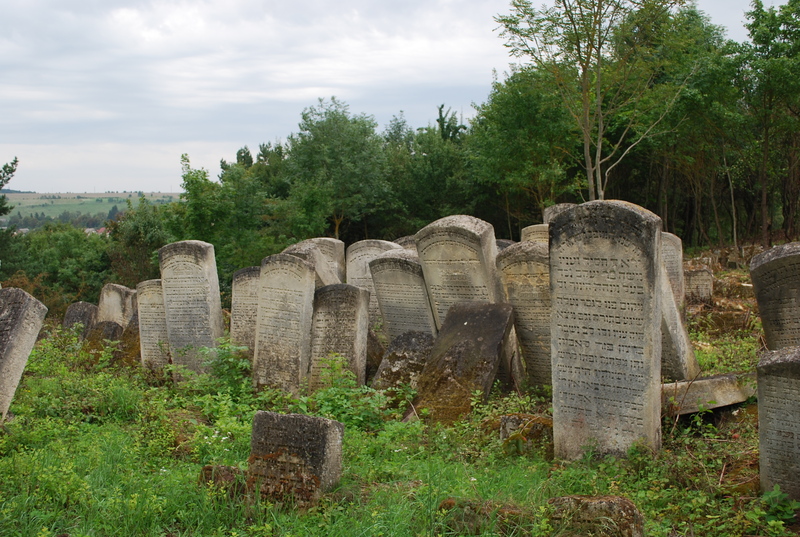 Besides the tombstones of Agnon’s relatives, the tombstones of the head of the community in Buczacz for around 40 years, Avraham Stern, of prominent members of the community, and of heads of charitable and communal institutions were found. 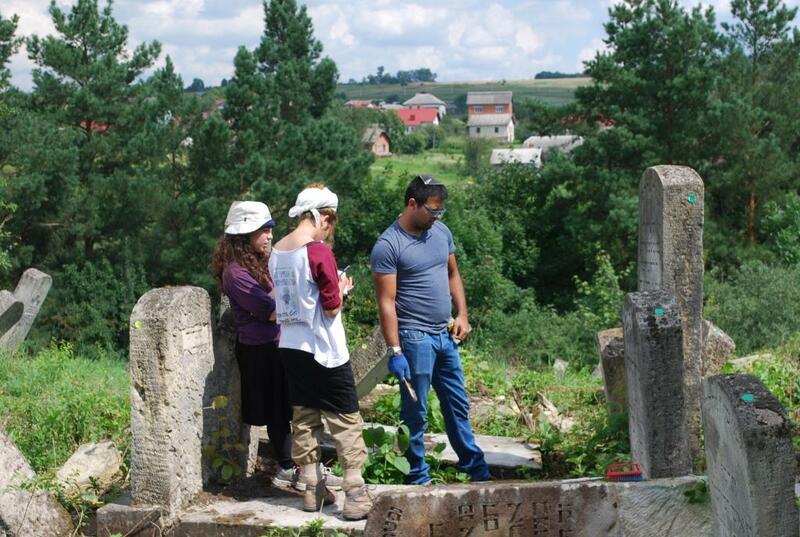 Until the Holocaust, the town of Buczacz was known as a place with a vibrant communal and Jewish national life. 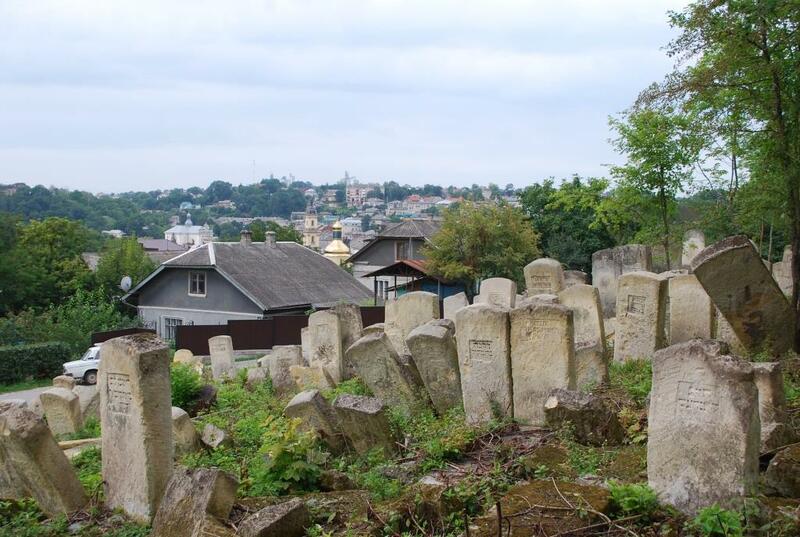 The cemetery stands as a final testimony to that. 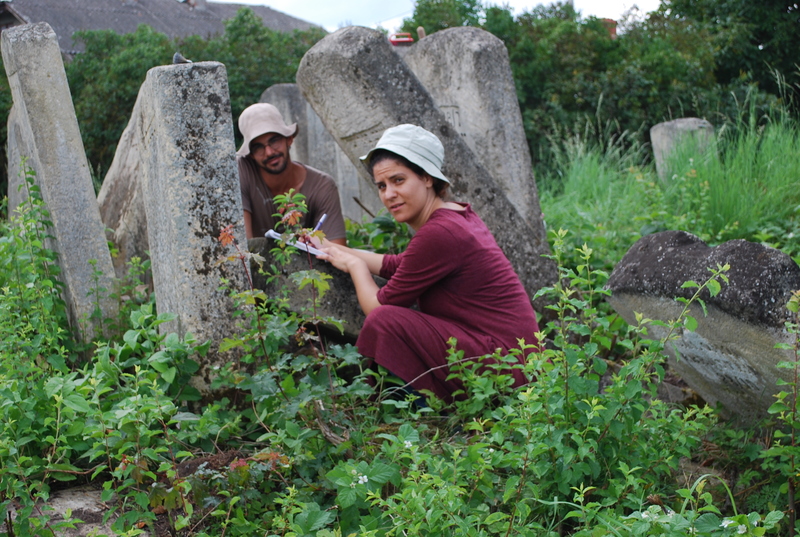 In addition to the documentation of the tombstones, the cemetery was surveyed, and a detailed map was drawn recording all the tombstones coordinates. 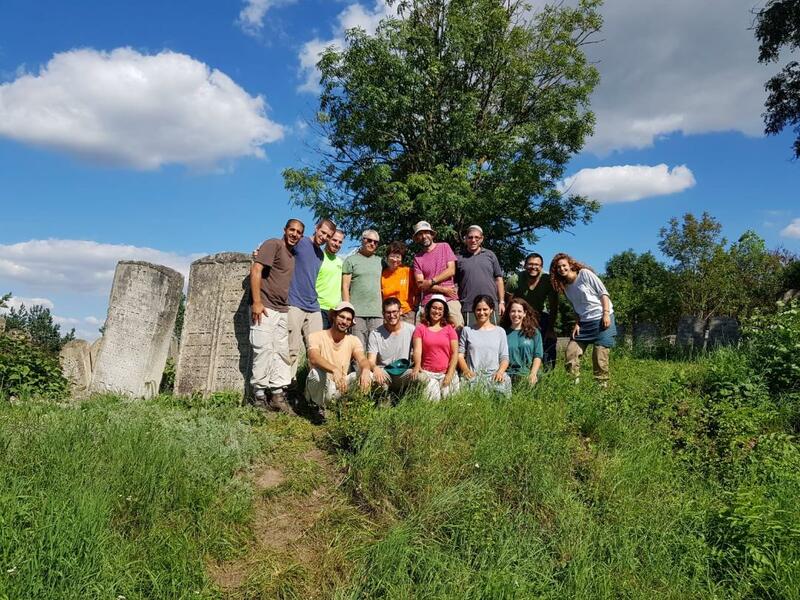 All the delegation’s findings will be transcribed, processed, and made accessible to the general public on the JGB organization’s website. 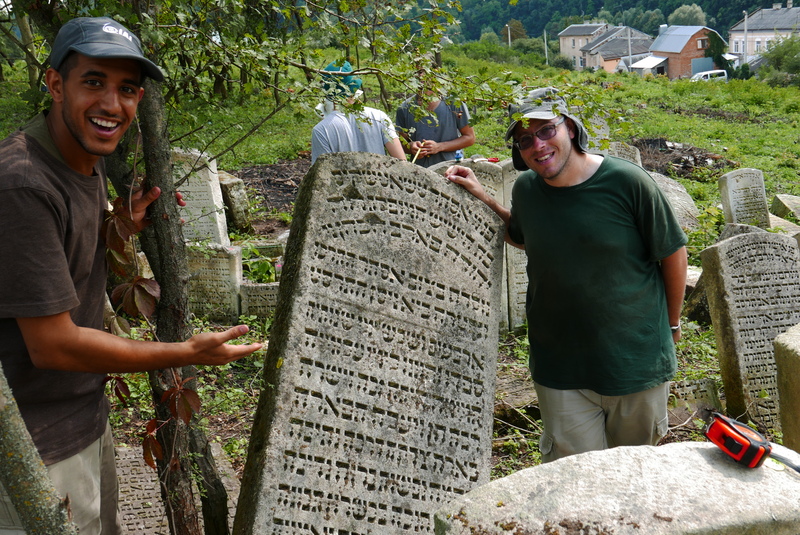 בוצ'אץ' תמיד הייתה קשורה בי. 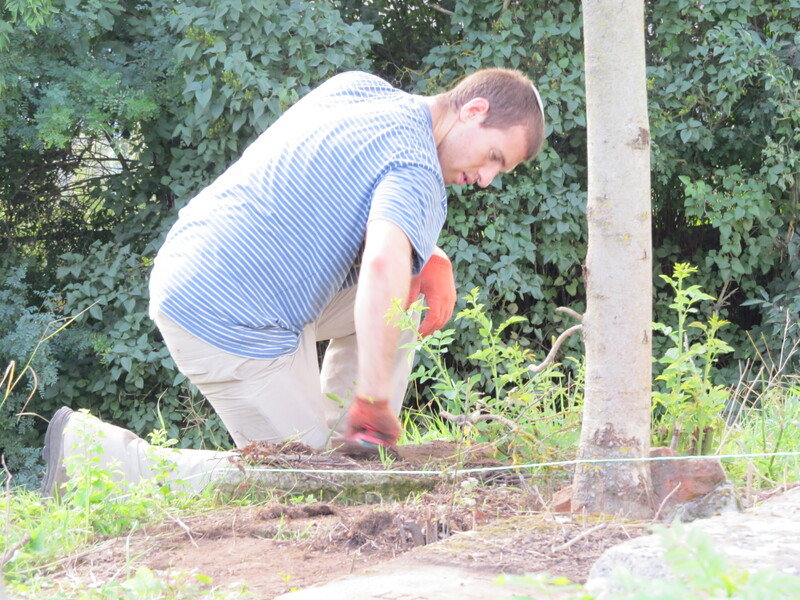 לא היה הדבר רק מפני סיפוריו של עגנון עליה אלא משום אם-סבי שעלתה ארצה משם. אכן, בשבילי בוצ'אץ' היא ממש 'שם', אי רחוק, עלמותי, עזוב ונעזב. 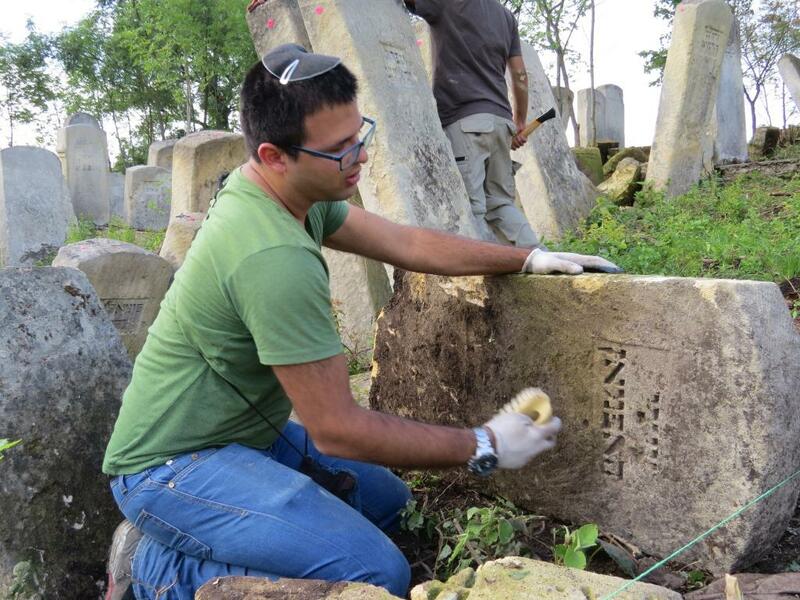 לא הייתה בוצ'אץ' בית הולדתה של סבתי, מעין מקום המונח לשעשוע הזכרון ולהרווית הלב, אלא מקום קשה ונכזב, מר ורווי כאב. סבתי, ציפורה, אישה חולה הייתה, אישה שחלתה מן השואה שעברה אי-שם על גדות הירקון התל-אביבי. ועבורי תמיד הייתה בוצ'אץ' מקום אחר, אבן שלהפכה לא כדאי.